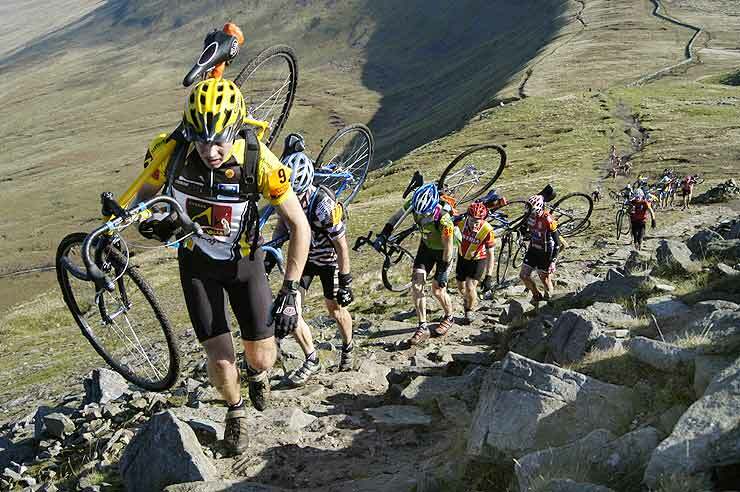 3 Peaks CX yesterday. Wow. No matter how many people tell you how daft the hills are, nothing can prepare you* for the insanity of it. It is definately not a race to turn up to after doing barely any riding at all for a good month or two and certainly not the event to arrive at having done no real walking preperation. Rather stupidly this is what I did. I had a great time though, seriously. Even though I felt like i was walking backwards compared to everyone around me up the slopes and, after a nice face plant coming down whernside, crawling back down looking terrified. It’s kindled a desire to train properly for it next time and have a proper crack at going fast. It’s also kindled a desire to find some arm warmers that don’t slip down my skinny arms when riding down bumpy tracks. Oh FFS! Nice all week then sunday = rain! Don’t seem to admit that the entire area exists, but that the closest place that does exist will be wet. Despite being snotted up to the eyeballs I went out for a ride on Friday. some of the students had pissed me off royally, so I decided to take out my wrath on the roads nearby. It probably looked shambolic as i sniffled my way up the hills and sneezed back down them, but I’m glad i did it. 32 miles including trotting up the side of beacon fell a few times, past the dirty pron mags. Saturday heralded me feeling a bit better, less “wet” and more “congested” but a nice gentle ride round the route of the 3 peaks (not including the off road bits, obviously) with angela did the world of good…and means i now have a vague idea where I’m going. Nipped out early on sunday morning to meet rich up at gisburn forest where the GFBV people have been busy building some top notch new trails all over the place. We had a peak at some of the newly formed singletrack (the bits that rich had helped out digging) and decided that it was going to be ace – nice and swoopy through the trees, a few little jumps and drops to keep you on your toes (or, if you’re riding a cross bike, really on your toes), scenery, that sort of thing. Riding there and back, plus messing about in the forest ended up at just under 70 miles and was actually quite tiring (possibly something to do with skipping breakfast and still being a bit under the weather). Will nip out for a couple of hours after work tonight (and feel gutted that I have to take lights with me…boo) and do the same tomorrow then start to chill out for the race at the weekend.